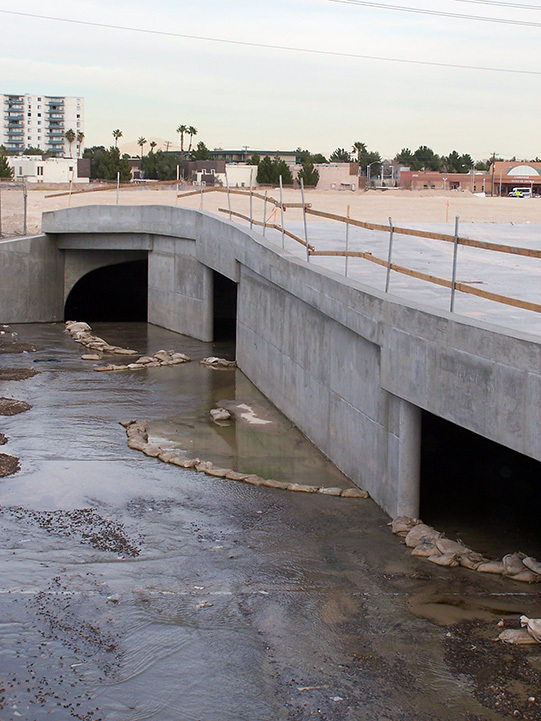 A major flood control project made possible the construction of the Vegas Grand Condominium Project. 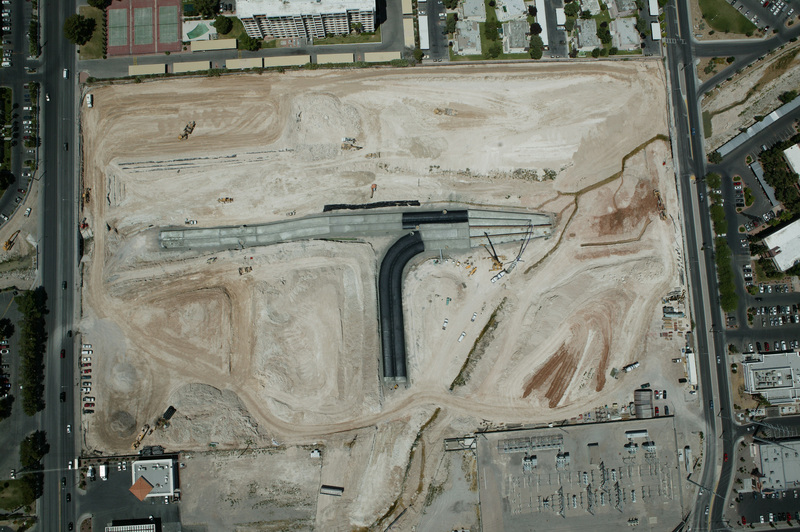 The Vegas Grand project put the confluence of the Flamingo Wash and the Tropicana Wash underground, freeing above ground use for parking and landscaping. 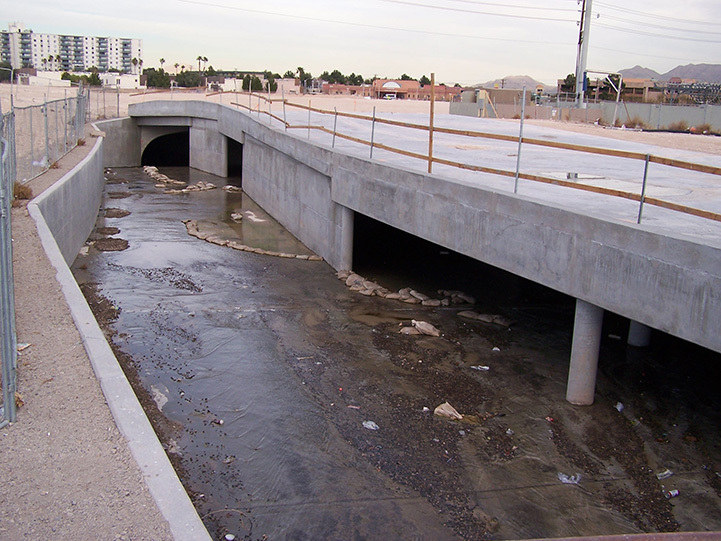 Flood waters from Flamingo Road and the site required a partially open bridge design to bring water into the culvert. 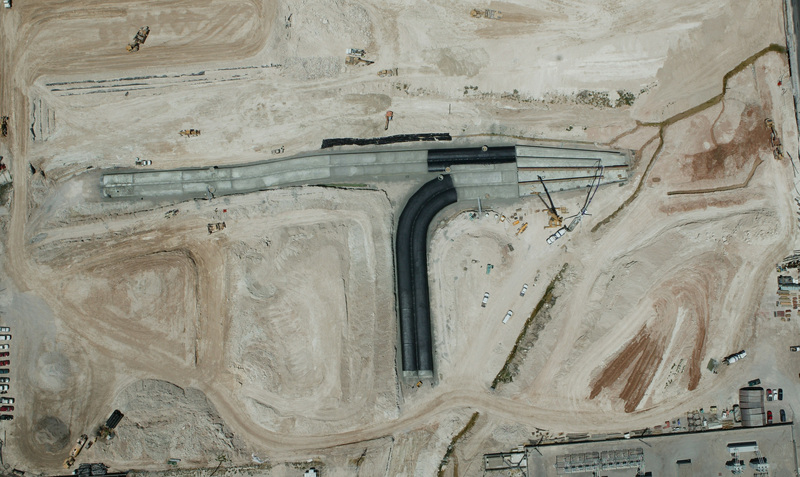 This, coupled with other hydraulic requirements and site complexities, created many challenges for the design team. 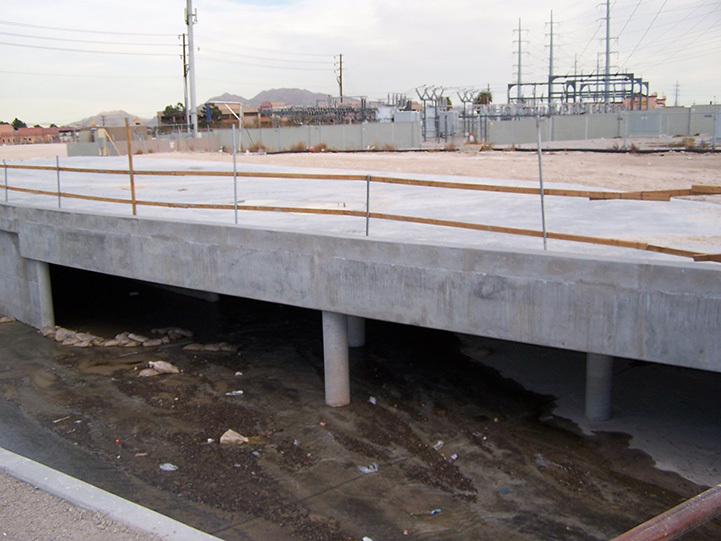 Water diversion was a major construction problem encountered on the job. An extensive bypass system solved the problem.